The Georgia National Guard is inviting vendors to showcase their products and services at a free expo on Thursday, May 2nd, 2019. In attendance at this event will be customers and buyers from the Georgia National Guard’s logistics, human resources, medical, equipment, training, operations, information technology, and other units. The expo will be held at the Clay National Guard Center, 1000 Halsey Ave., Bldg. 447 – Drill Hall, Marietta, GA 30060. All registrations are offered on a first-come, first served basis. Vendors who pre-register will be furnished with a display table. Vendors may set up their tables either on the morning of May 1st (10:00 a.m. to 2:00 p.m.) or the day of the event (9:00 a.m. to 10:00 a.m.). Vendors should allow for extra time to be cleared through the guard post on base. 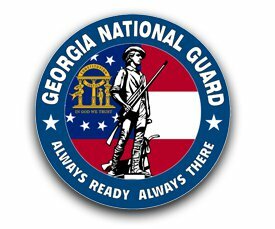 The Georgia Army National Guard is gearing up for an inspection of its cyber posture and is looking for a contractor to provide technical assistance as it prepares. The guard unit plans to upgrade its IT systems ahead of the review and needs assistance with “network configuration, server administration and information assurance,” according to a solicitation on the government contracting site FedBid. The Georgia National Guard is inviting vendors to showcase their products and services at a free expo on Thursday, Feb. 22, 2018. All registrations are offered on a first-come, first-served basis. Vendors who pre-register will be furnished with a display table. Vendors may set up their tables either on the morning of Feb. 22nd or the day before. The Georgia National Guard is inviting vendors to showcase their products and services at a free expo on Thursday, March 9, 2017. Vendors who pre-register will be furnished with a display table. Vendors may request display table space either inside the facility or on the lawn outside the facility. Vendor set-up may be accomplished the day before the event (Mar. 8) between 10:00 am and 3:00 pm, or on the day of the event (Mar. 9) between 8:00 am and 10:00 am. Vendors should allow for extra time to be cleared through the guard post on base. Vendors can display their wares and meet buyers at the Georgia Army National Guard on Thursday, Nov. 10, 2016. Vendors may request a display table or just mingle at this no-cost event. The event will be held at 1000 Halsey Ave., Building 447, Marietta, GA 30060. Advance registration is required and may be accomplished by emailing the name(s) of individuals attending and the company they represent to jerriod.allen.mil@mail.mil. Registrants also should indicate whether or not they would like to reserve a table. Check-in and set-up begins at 9:00 a.m. The program begins at 10:00 a.m., featuring guest speaker Chuck Schadl of the Georgia Tech Procurement Assistance Center. Other presentations are expected to be made by representatives of SBA, GSA, and FedBid. Vendors will have the opportunity to meet with buyers, one-on-one, beginning at 11:30 a.m. until 1:00 p.m.
Raytosha Elliott, a former contracting official with the Georgia National Guard, and the owners of two vendor companies have been sentenced to federal prison for a corruption scheme wherein Elliott awarded contracts to the vendors in exchange for illegal kickbacks. “The sentencing of these individuals to federal prison will not only hold them accountable for their greed based criminal conduct, but will also send a clear message to others that might consider a similar scheme. The FBI will continue to work with its various law enforcement partners to ensure that those individuals engaged in these types of activities are identified, investigated and presented for federal prosecution,” said J. Britt Johnson, Special Agent in Charge, FBI Atlanta Field Office. “Accountability of violators is paramount when dealing with public corruption. GBI’s partnership with the FBI in the Public Corruption Task Force is essential for continued public trust in Georgia. When those who violate the law and violate public trust are held accountable, and go to jail – if this occurs, it sends a clear message that public corruption is not acceptable in this state,” said Vernon Keenan, Director, Georgia Bureau of Investigation. “We hope these sentences serve as a deterrent to those who desire to pilfer the state and federal governments’ coffers. We also believe this case exemplifies how multiple agencies can work together to achieve a common goal: to serve the public who depends on us to defend the integrity of government programs. As in this case, our office will remain dedicated to protecting taxpayers’ money by continuously pursuing fraud, waste, abuse and corruption within the executive branch of state government,” said Deb Wallace, State Inspector General, Georgia Office of the Inspector General. According to U.S. Attorney Horn, the charges and other information presented in court: From May 2007 through April 2012, Elliott worked for the Georgia Department of Defense, the state agency charged with coordinating and supervising all agencies and functions of the Georgia National Guard. Elliott worked as an Engineering Operations Manager at the Clay National Guard Center, located at Dobbins Air Reserve Base, in Marietta, Georgia. In that position, Elliott worked with engineering firms to develop bid-ready construction projects, prepared bid documents, and oversaw no-bid purchase orders. Under the rules governing the contracting process that Elliott oversaw, projects that cost less than $5,000 did not need to go through a competitive bidding process, allowing Elliott to award the contracts. She certified that the work had been completed for those projects, and facilitated payment to the vendors who allegedly completed such projects. Elliott awarded numerous contracts under $5,000 to vendor companies created by her friends and associates, including co-defendants Lakeysha Ellis and Angela Thicklin (f/k/a Angela Stanback Kinlaw). In return, Ellis and Thicklin paid Elliott kickbacks, equal to 50% of the value of the contracts, for steering contracts to Ellis’ vendor company, Total Source Solution, LLC, and to Thicklin’s vendor company, 3M Construction LLC. Elliott awarded Total Source Solution 17 contracts with a total value of approximately $75,000. Elliott awarded 3M Construction 18 contracts with a total value of approximately $78,000. The contracts were for a variety of services supposedly to be performed by the two companies, including electrical work, landscaping, and HVAC work. But the work was never done. Instead, the defendants split the money awarded under the contracts and spent it on personal items, including travel, meals, and merchandise. As part of the scheme, Elliott owned a company named Tech Group Investments, LLC. Ellis and Thicklin took money they received from the Georgia National Guard contracts, and paid kickbacks to Elliott through that company. Elliott falsely certified that the work had been completed to facilitate payment by the Georgia National Guard. Elliott and Ellis engaged in a similar fraud scheme from January 2009, through May 2011, when Ellis was an accountant at Baumueller-Nuermont Corporation, an industrial equipment company with offices in Atlanta. Her job responsibilities included payroll and paying vendors. While employed as Baumueller-Nuermont’s accountant, Ellis fraudulently funneled money to the defendants’ two sham companies, Total Source Solution and Tech Group Investments. Ellis wrote corporate checks to Total Source Solution, signed her name on the checks, and forged the signature of the Vice President on the checks, to ensure that the checks could be negotiated. Ellis recorded these payments in the check registry to reflect falsely that the checks had been issued to true vendors (such as American Express) when in fact they went to Ellis’ company. As part of the scheme, Ellis also falsified employee records in the corporation’s payroll system to disguise payments to the defendants’ two companies. Ellis created phantom employees by altering the names of real employees (by switching their first and last names) and slightly changing their Social Security numbers. She then caused the payroll system to make fraudulent salary payments to Total Source Solution and Tech Group Investments for these new, non-existent employees. Baumueller-Nuermont lost about $85,000 from this scheme. Raytosha Elliott, 35, of Atlanta, Georgia, was sentenced yesterday to two years, ten months in prison and three years of supervised release, and ordered to pay $115,902 in restitution to the Georgia National Guard and $26,500 in restitution to Baumueller-Nuermont Corporation by U.S. District Judge Amy Totenberg. Elliott was also ordered to pay $20,000 in restitution to WebBank based on a fraudulent loan application she submitted to the bank in September 2013. In that application, Elliott falsely inflated Tech Group Investments’ sales and gross receipts, and provided a fraudulent federal tax return in support of those figures, to obtain the loan. She was also ordered to perform 60 hours community service. Lakeysha Ellis, 37, of Decatur, Georgia, was sentenced to nine months in prison and three years of supervised release, and three months of home confinement. She was also ordered to pay $74,902 in restitution to the Georgia National Guard and $81,487.88 in restitution to Baumueller-Nuermont Corporation. Both defendants previously pleaded guilty to two counts of conspiracy. Today, Angela Thicklin, 45, of Atlanta, Georgia, was sentenced to one year, nine months in prison and three years of supervised release including ordered to pay $78,640 in restitution to the Georgia National Guard by Judge Totenberg. Thicklin previously pleaded guilty to one count of conspiracy. 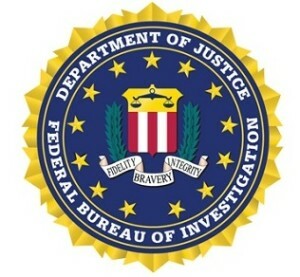 This case was investigated by the Federal Bureau of Investigation; the Georgia Bureau of Investigation; the U.S. Department of Defense, Office of Inspector General, Defense Criminal Investigative Service; Internal Revenue Service Criminal Investigation; the U.S. Army Criminal Investigation Command; and Deputy Inspectors General of the State of Georgia Office of the Inspector General. Assistant U.S. Attorney Stephen H. McClain prosecuted the case.